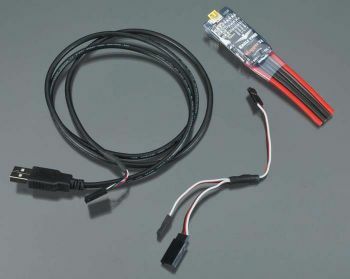 This is the New Eagle Tree USB Micro Power V4 150 Amp E-Logger. If your looking for the optimum prop for your boat or gearing for your car, than this is the product for you. With this logger will be able to graph(computer required) voltage and amperage curves! Add a optional brushless sensor for graphing rpm or optional gps speed sensor for the ultimate tuning advantage! Logs pack current to 150 amps and voltage to 80 volts. INCLUDES: 150 amp e-Logger V4 On-Board Data Logger, USB cable, and CD manual. REQUIRES: Installation and setup following instructions on CD-ROM, and connectors of choice.